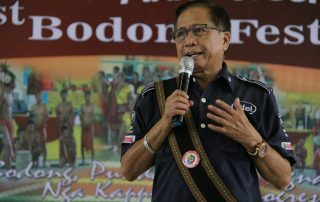 BAUKO, Mountain Province (24 April 2017) – “There should only be one united effort towards autonomy for the Cordillera, that is our main intention.” This was the message of Presidential Peace Adviser Secretary Jesus G. Dureza during the first Forum on Cordillera Administrative Region (CAR) Regional Autonomy dubbed as “Pioneer Cordillera Champions Coming Together” held at Mount Data Hotel in Bauko, Mountain Province on Monday. 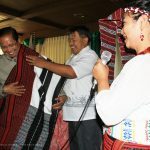 The forum attended was attended by 200 participants including representatives of various Cordillera rebel factions and other groups namely the CPLA and Cordillera Bodong Association (CPLA-CBA), Cordillera Peoples Alliance (CPA), Cordillera Broad Coalition (CBC), Cordillera Regional Consultative Commission (CRCC), and North Luzon Coalition for Good Governance (NLCGG), civil society, local government units and national government agencies. 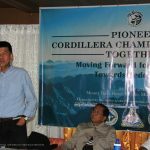 It was organized by the Cordillera Regional Development Council and NEDA-CAR in partnership with the Office of the Presidential Adviser on the Peace Process as a venue for continuing dialogue with Cordillera peace stakeholders. 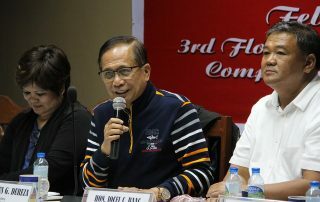 The Cordillera groups together with the local chief executives and representatives of the six provinces of the Cordillera and the City of Baguio expressed total support for the passage of House Bill 5343, “An Act Establishing the Autonomous Region of the Cordillera” which was filed recently in Congress. 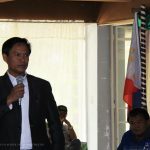 In the same event, OPAPP Undersecretary for Peace Accords Nabil Tan, who was part of the initial efforts in the establishment of the Autonomous Region on the Muslim Mindanao (ARMM), shared the initial challenges of transformation into an autonomous region. He advised that the CAR people should understand and support the movement for autonomy prior to the conduct of a plebiscite. 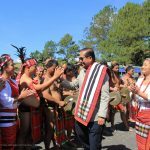 Baguio City Mayor and CAR Regional Development Council (RDC) Chair Mauricio Domogan said that the new proposed bill reiterates the Cordillera people’s united stand for genuine regional autonomy. “We had been totally neglected by the national government for a long period of time and so it is time to support and pass the bill,” said Mayor Domogan. 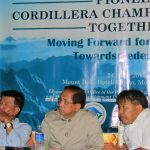 BAUKO, MOUNTAIN PROVINCE (25 April 2o17)- Five major factions and groups in Cordillera converged here on Monday to unify their ranks towards healing and reconciliation, as they strongly pushed for Cordillera autonomy as a step towards federalism. 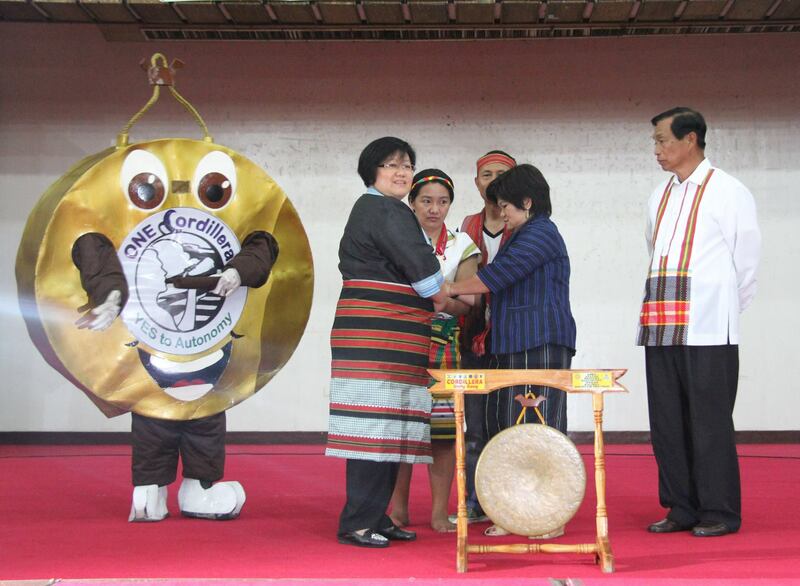 CORDILLERANS UNITE FOR PEACE. 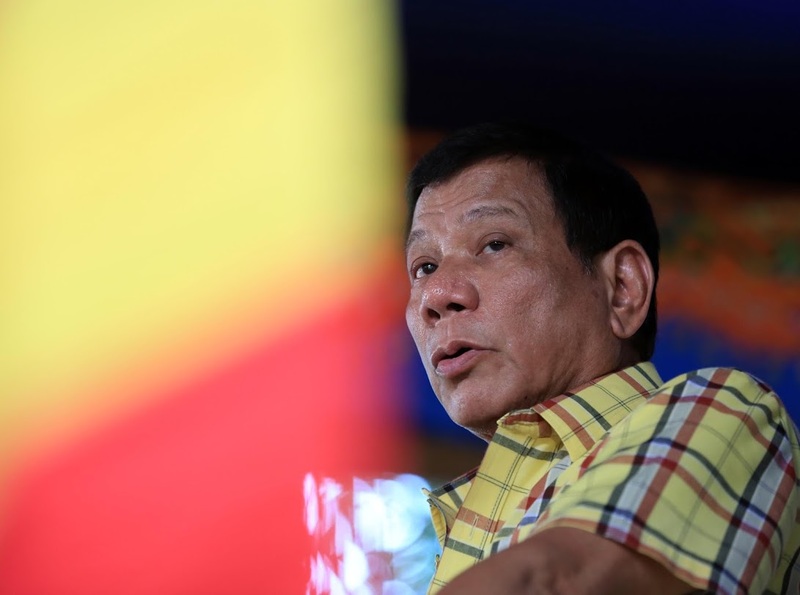 “I got the message that that there is already a clear indication that everybody would like to converge, kaya nga nandito kami, we are not going to assure anything. We just would like to hear from you that there is already a unity in this and that we would like to help you push this forward,” Peace Adviser Sec. 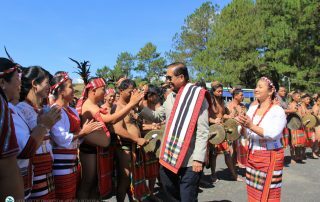 Jesus G. Dureza addresses the advocates of the autonomy for Cordillera region on 24 April 2017 at Mt. Data Hotel in Bauko, Mountain Province. 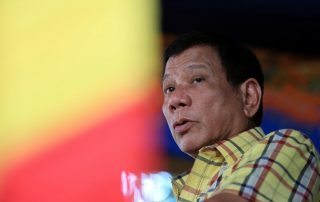 We met with President Duterte until late last night and discussed the directions and possible next steps in our peace engagements with the Communist Party of the Philippines/New People’s Army/National Democratic Front (CPP/NPA/NDF), the Bangsamoro, the Cordillerans, and the other stakeholders. 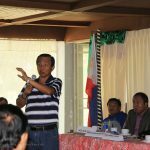 TABUK, Kalinga, February 13, 2017 – “We should listen to everyone”, this was the message of autonomy champion and Peace Adviser Sec. Jesus Dureza before the Cordillera Regional Development Council in Tabuk, Kalinga during its meeting on February 13, 2017. 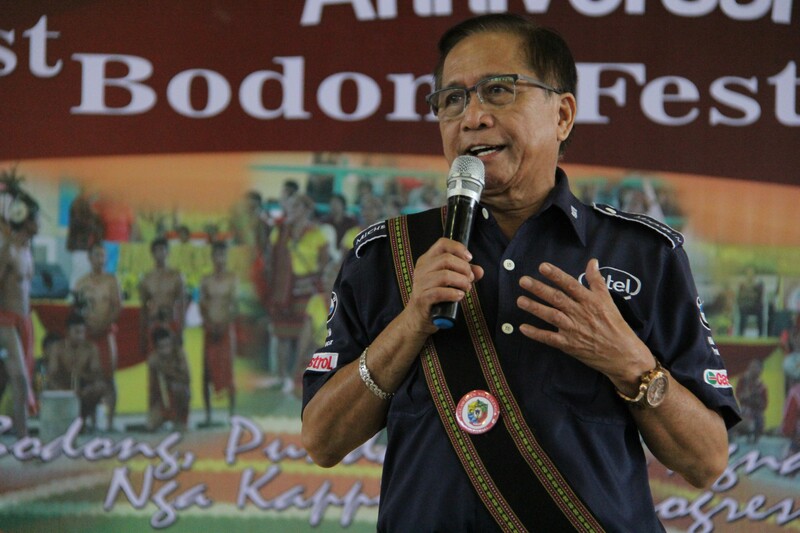 Said meeting was hosted by the province which coincided with its 22nd Foundation Day and 1st Bodong Festival. 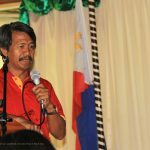 President Rodrigo Duterte has given instructions to Labor Secretary and government chief peace negotiator Silvestre ‘Bebot’ Bello III and panel member Angela Librado-Trinidad to produce a signed bilateral ceasefire agreement before he will order a substantial release of detained communist rebels. 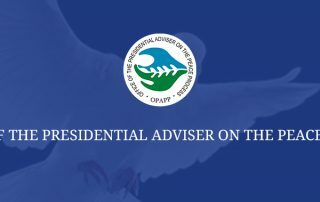 I am pleased to announce that President Rodrigo Duterte has restored the effects of the unilateral ceasefire with the CPP/ NPA/NDF effective 12 midnight tonight, 21 August 2016. The duration of the ceasefire will last for as long as necessary to bring peace in the land and also in order to provide an enabling environment for the success of the peace negotiations that will start in Oslo, Norway on August 22. 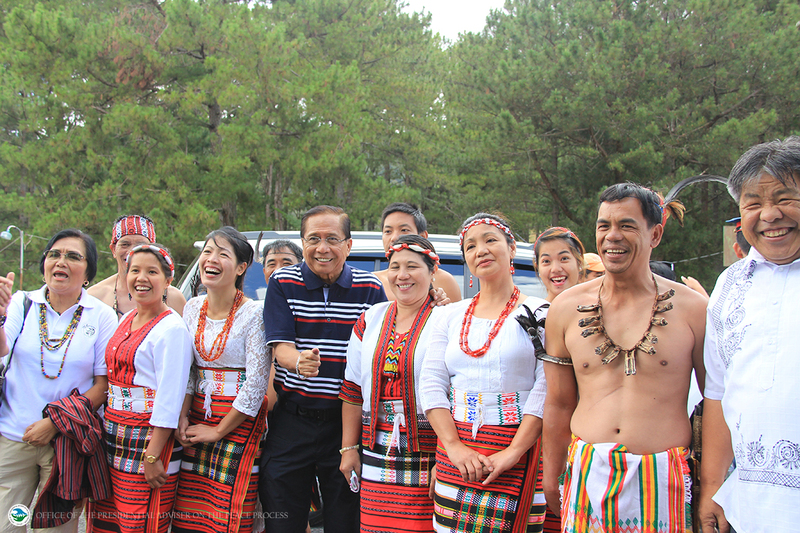 BAGUIO CITY – During the event of the 29th founding anniversary of the Cordillera Administrative Region (CAR), Presidential Adviser on the Peace Process Jesus G. Dureza underscored the importance of the strides of the peace process in pursuing the region’s aspiration for self-determination and autonomy.